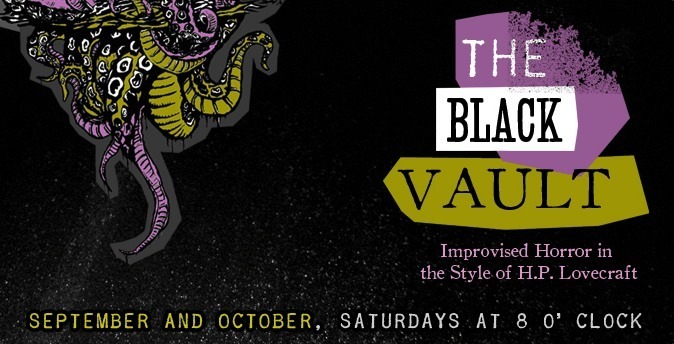 This fall, the Hideout Theatre presents the The Black Vault, improvised weird horror in the style of H.P. Lovecraft. H.P. Lovecraft (1890-1937) is arguably the most influential horror writer the world has ever known. The pioneer of “cosmic horror”, Lovecraft’s tales are full of unfathomable horrors, elder gods, and indescribable truths that if you fully comprehend them, will drive you utterly and irrevocably mad. The verbose, antiquated, creepy world of Lovecraft will provide a delightfully macabre world for the talented cast of The Hideout to play in. Woeful, insane narrators will take audiences on journeys through a wide chaotic universe, filled with being of unspeakable power which are at best unfeeling and at worst malevolent towards the creatures crawling on the surface of the bubble of protoplasm we call The Earth. Come see what rises up from the depths this September and October at the Hideout. Ensemble Cast: Jessica Arjet, Emily Breedlove, Justin Davis, Andreas Fabis, Brad Hawkins, Ryan Hill, Roy Janik, Marc Majcher, Jay Michael, Paul Normandin, Jayme Ramsay, Clay Towery, Peter Rogers. 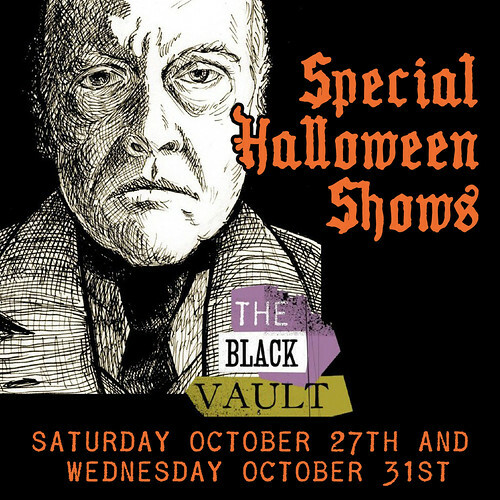 SPECIAL HALLOWEEN SHOW JUST ADDED FOR WEDNESDAY, OCT. 31ST. Candy!